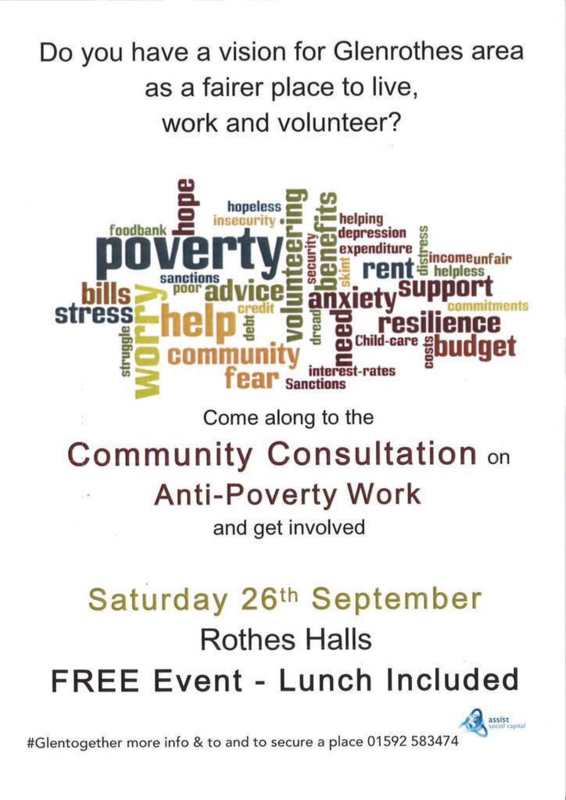 Community Consultation on Anti-Poverty in Glenrothes this Saturday! This Saturday, 26th September 2015, Assist Social Capital facilitates a Community Consultation event on Anti-Poverty in the Glenrothes Area (Glenrothes town and the surrounding villages of Leslie, Markinch, Coaltown of Balgonie, Milton of Balgonie, Thornton and Kinglassie), Fife. The event provides an opportunity for all people who live, work and volunteer in the local area to get involved in developing an anti-poverty action plan for the Glenrothes area.